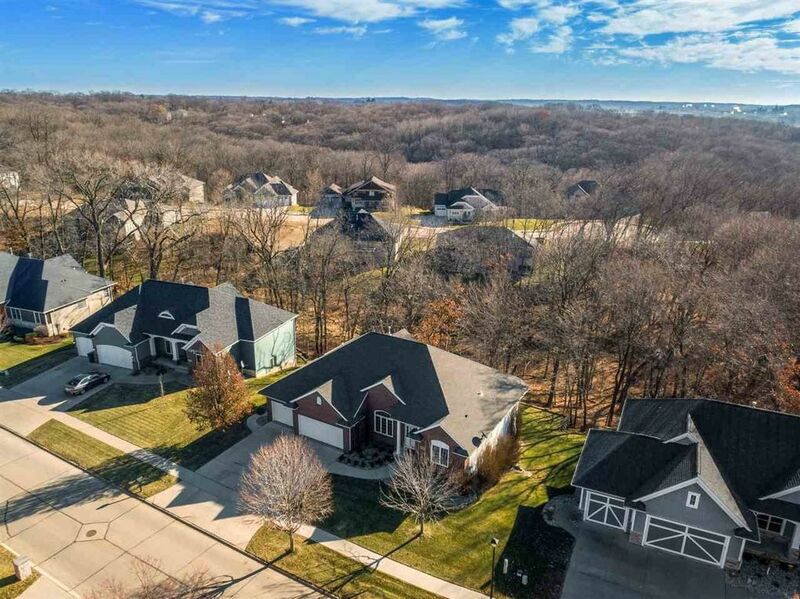 This beautiful executive ranch home in the prestigious Bluffs neighborhood offers gracious living minutes from downtown in the most convenient location in Cedar Rapids. The Flynn-built open floor plan offers 11' ceilings, Brazilian cherry flooring, arched doorways/windows, butler's pantry, formal dining room and a great room with sweeping views. Enjoy your coffee in the breakfast nook or in the private lounge with gas fireplace and survey your landscaped, wooded backyard. Directions: 380 to Glass Road. Glass Road W to Old Orchard Road. S on Old Orchard to home.